Save the Date for Halloween fun! 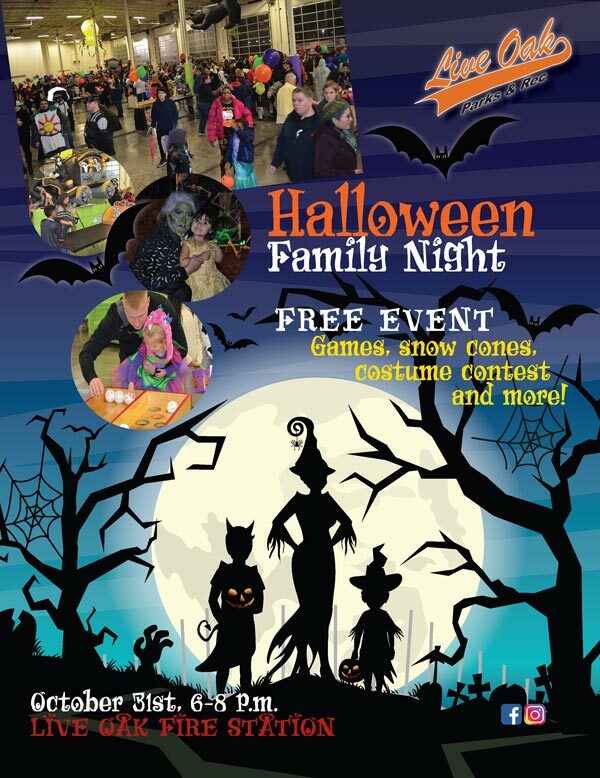 Games, sno cones, costume contest and music! Free event at the Live Oak Fire Station.